Hi hello ElectronicsLovers, today I am going to show you a few simple tricks that will show you how to increase a CPC for your blog or website to make money with Adsense easily. Most of the time students, hobbyist or people having educational background ask me this question “Sir guide us how to increase a CPC for our website”. Dozens of people send Emails to my mailbox daily related to CPC issue, I try my best to reply back to everyone and review their website. My message for everyone “Focus on your content instead of earning” Once you start a routine by uploading a quality content to your website you will never face these kinds of issues and your traffic will become double in short time. I am writing this article for those who have already Adsense activated website and wants to make money with Adsense. 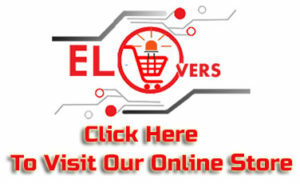 Kindly Contact me I will guide you If you have a good website and you have applied multiple times for Google Adsense and they reject your Adsense application. 1) Sign Up to Google Webmasters Console and Add your website in it by Adding Property Tab. 2) Must Add robots.txt into your website or blog for Crawling Purposes. 3) Inside Google Webmasters Console you can set targeted country for your website like if your website is selling something online that related to your country (chose that country in the give list) or another country not internationally. Leave it black do not tick If your website has based on technology because everyone in the whole world wants to hear something new related to technology. 4) Remeber Google Crawl those websites first having good loading speed. Always test your Website speed free of cost here PageSpeed Insights in a report you will get Performance report that will show you different ways that how to increase your website speed. 5) Ad Placement is very important in case where you want to make money with Adsense and has a great impact on CPC. Always Put one responsive Ad in the header or below the post title. Use one Ad in the sidebar and another one between the middle of each post. 6) Always search and use a high-quality keyword in your article, you can search high paying keyword free of cost by using this website keywordspy . 7) If your website gets a high-quality amount of traffic or average and still your Cost Per Click is $0.001 then you need to follow these steps. At First Step, You need to block LOW CPC Ads, visit your Google Adsense dashboard and add List of Low CPC Ads. 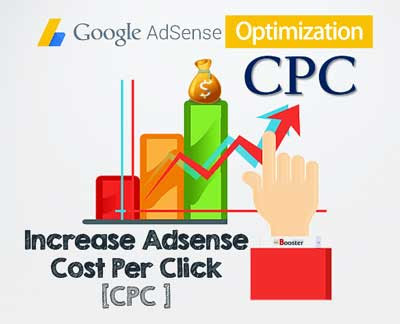 Now it,s time to Add List of High paying CPC Ads to your Google Adsense Directory, it,s a lengthy process it will take up to two hours to add all high CPC paying keyword. Why I feel so alone | Does technology make us more alone? I got email many times from google adsense, saying to place "page level add" to optimize earning. They say 60-70% of traffic* in your AdSense account comes from mobile, so Page-level ads could be a good choice for you. But adsense earning decreases instead of getting high. Is anyone facing this type of issue? I am unable to improve CTR.